This Offer May Be Too Good To Be True…Or Is It?? How would you like a chance to win a Netflix gift card at no cost to you?? Right now, you can enter a giveaway for your chance to win this offer for Netflix gift cards valued at $100! For your chance to win big, you must first enter a valid email address. Then, you need to complete a brief survey and submit the survey once it has been completed. After that, you will receive an entry into this awesome gift card giveaway. You may be able to receive multiple entries into this awesome giveaway. Please note, in order to enter this giveaway you must be 18 years of age or older. You must also be a resident of the United States. Just think of all the entertaining shows and movies you could stream right from your computer or mobile device if you won this FREE Netflix gift card giveaway. There are countless movies and television series available to be streamed right from Netflix. So, what are you waiting for?? 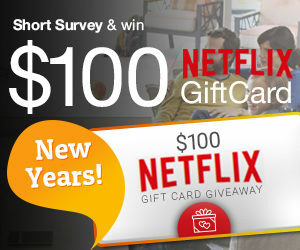 Enter now for your chance to win your FREE Netflix gift card worth $100! You chance of winning this giveaway will depend upon the number of individuals who enter. So, if you want to increase your chances of winning, do NOT let your friends find out about this! There’s Big Freebies to Win With The Allure Readers Choice Giveaway Sweepstakes! How would you like to receive thousands of dollars worth of incredible products or a FREE trip to a luxury spa in St. Lucia?? It may sound too good to be true, but it isn’t! 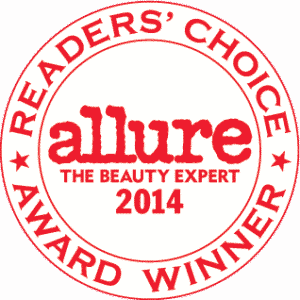 Right now, the Allure Readers Choice giveaway is currently going on! Allure wants to know what your very favorite makeup and self care products are. Each year, Allure compiles a list of your favorite products. The magazine reviews Allure makeup, hair care supplies, fragrances, and so much more. If you complete Allure’s surveys about your favorite products between now and Monday, February 20, 2017, you will be entered in a drawing for your chance to win one of four INCREDIBLE prizes! These prizes include: $400 in Bliss gift cards, a vault filled with a variety of awesome goodies from Neutrogena, an expenses paid spa trip to St. Lucia, or a suitcase packed full of $2,950 worth of award-winning products that you will love! You can earn up to 6 total entries for these amazing Allure giveaways by completing the product surveys! It really is that simple. Your chances of winning will depend upon the number of people who enter the giveaway. So, what are you waiting for?? Start taking those surveys for your chance to win an incredible prize from Allure. 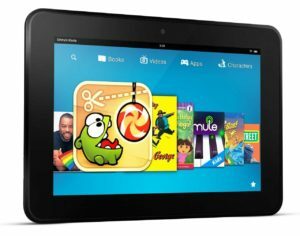 Enter The Black Friday Sweepstakes To Win An Amazon Gift Card! How would you like to receive an Amazon gift card as part of a Black Friday sweepstakes? If this sounds good to you, read on! 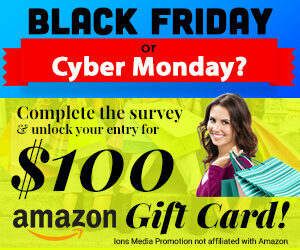 Right now, you can complete a survey for your chance to receive a $100 Black Friday gift card that can be used on Amazon.com. Just think of all the great stuff you could purchase with your $100 gift card! 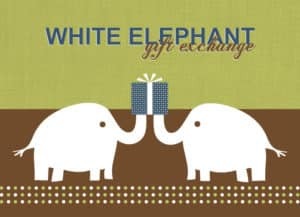 You could use the gift card on holiday gifts for your family and friends, something special for your significant other, a thoughtful gift for a great co-worker or boss, a special toy for your favorite pet, or maybe even a little (or big!) treat for yourself! By completing the required survey, you unlock your entry for the Amazon gift card sweepstakes. If the brief survey is not completed, you will not be entered in the sweepstakes. In order to participate in this sweepstakes, you must be 18 years of age or older. You must also be a resident of the United States of America. Please be sure to enter a valid email address when you sign up in order to participate in this sweepstakes. You will receive more information about this sweepstakes via the email address that you provide. STOP OVERSPENDING! Find Out How You Can Get $1000 Worth of Furniture FOR FREE This Black Friday! Black Friday will be here before we know it! In preparation for this fun shopping day, many stores are offering deals and special offers to their customers. Value City Furniture and American Signature Furniture are jumping on the bandwagon by offering an incredible sweepstakes opportunity! If you enter the Value City Furniture Black Friday sweepstakes, you will be entered in the sweepstakes for your chance to win a $1,000 private shopping spree at a Value City store near you! In addition to the private shopping spree, you will also receive a chauffeured ride in a limousine as an additional prize for winning the Black Friday sweepstakes! Are you wondering how to enter this amazing sweepstakes? Here’s how! On Facebook, ‘like’ the Value City Furniture page as well as the American Signature Furniture page. Then, provide a bit of information about yourself such as your name and email address. Two grand prize winners of the Value City Furniture Black Friday sweepstakes will be chosen after the contest ends on Thursday, November 21 at 12:00 PM Eastern Time. A winner will be chosen for each store (Value City Furniture and American Signature Furniture). Please note, you must 18 years of age or older to enter this sweepstakes! Good luck! Want To Win A $1,000 Gift Card & Cookbook? Enter The Seasons Eatings Giveaway! Now that Halloween is over, everyone is looking forward to the holiday season. It really is just around the corner! 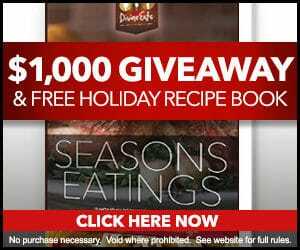 If you enjoy cooking and could use a little extra cash, you will definitely want to check out this awesome freebie giveaway offer for a Seasons Eatings recipe book and $1,000 gift card! In this cookbook, you will find recipes for all kinds of holiday eats that your entire family will LOVE. For your chance to get a holiday recipe book and the gift card, you must enter the giveaway by submitting your email address. Follow the directions that pop up after you submit your email address in order to finalize your entry. If you are the randomly selected winner, you will receive a $1,000 gift card in addition to your FREE Seasons Eatings cookbook. You can enter the giveaway up to 5 times per day. 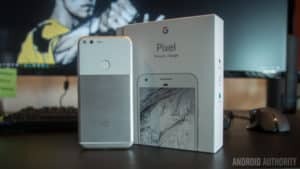 In order to enter this giveaway, you must be 18 years of age or older and you must be a legal resident of the United States. You must enter the giveaway on or before December 31, 2016, for your chance to win. No purchase is necessary to enter this incredible giveaway. Good luck, we hope you are the winner! What would you do with a check for $10,000? Go on a shopping spree? Buy a new flat screen television? 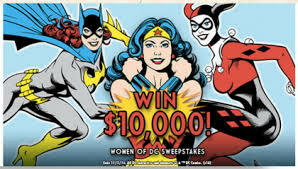 Although winning $10,000 might sound like a dream, it will be a reality for one lucky person who enters the Spirit Halloween Women of DC sweepstakes. From now through Wednesday, November 2 you can enter the sweepstakes for your chance to be the lucky grand prize winner. Entering this amazing sweepstakes is simple. Just complete the sweepstakes entrance form on this website. Be sure to enter an accurate mailing address, email address, and phone number. Please note, you must be a legal resident of the United States or Canada to enter. You must also be 18 years of age or older to enter. You can also enter the sweepstakes by filling out a form by hand at your local Spirit Halloween store. The grand prize winner will be randomly chosen on or around Monday, November 14. If you are the winner, you will be notified by email (so check your email frequently)! As the winner, you should receive your prize within 8 to 10 weeks after your information is verified. Remember, you must enter before November 2 in order to be entered for your chance to win! Good luck!